A few years ago when I first started blogging, I made an outright statement that I was categorically not into burgers. I have over the years been surrounded by burgers, burger loving people and a whole lot of burger joints. I tried a few halal gourmet burgers but for some reason never saw what the whole fuss was about. 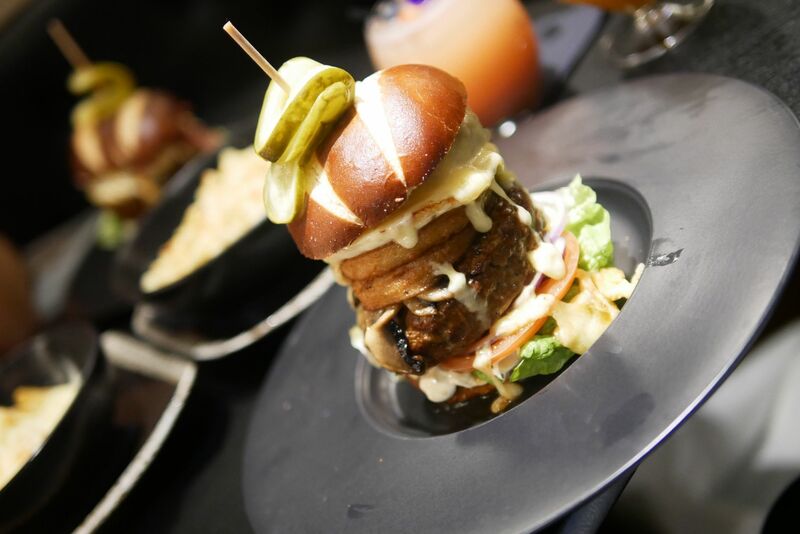 I think more than anything else, every time I have a burger it puts me in a deep deep food coma, for some reason no other food has that effect. Alot of the burger joints around are hella instagrammable but actually don’t really get the whole point of a burger right – it may be succulent but if it has minimal taste to the meat itself I’m not interested. I was introduced to The Banc a few months ago when I went there on an influencer event. It was great and we consumed alot of food that night. 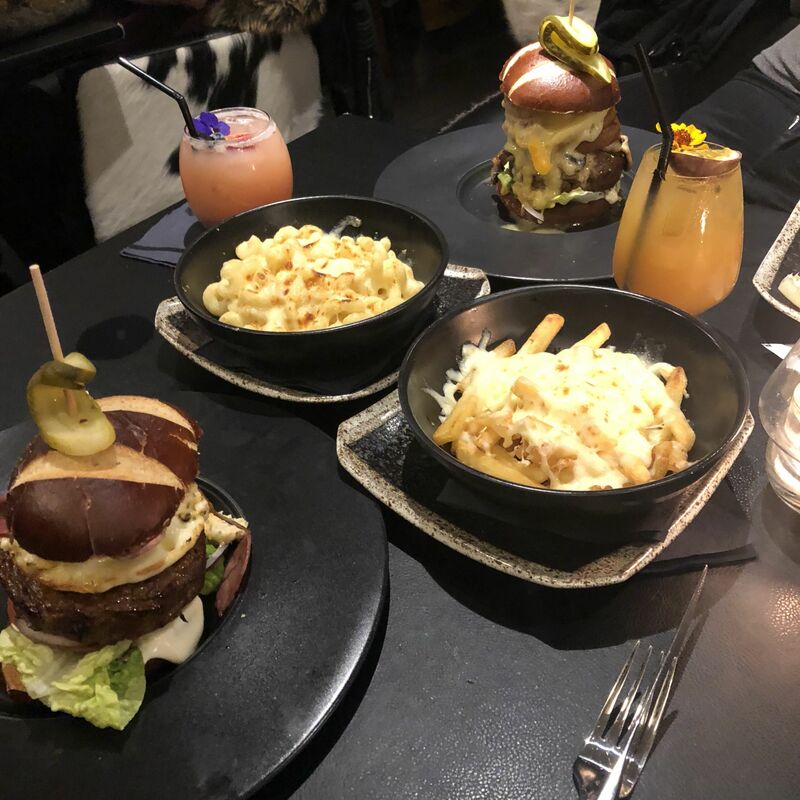 I loved the food and despite it being on literally the other side of London to me, I decided to go back with a friend. 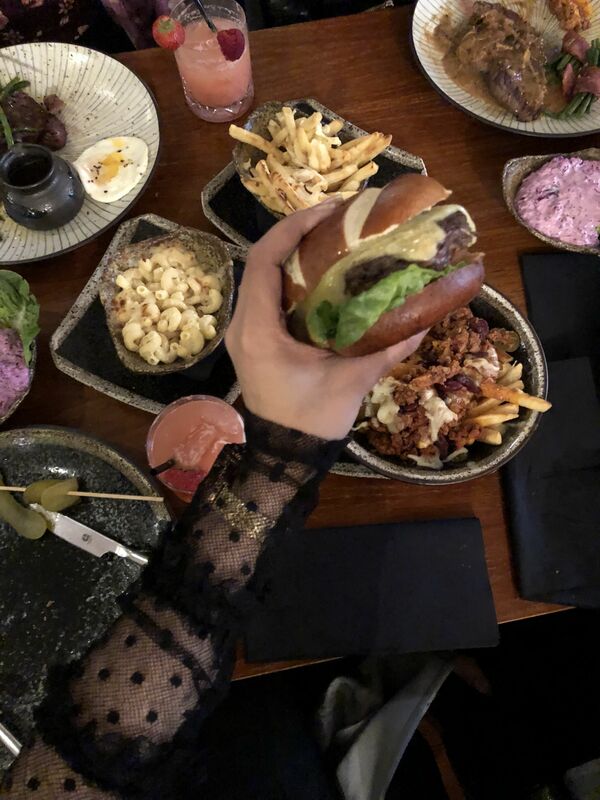 I knew I had to have the burger and the cheese fries, I remember the desserts being really good but also knew that my stomach is small and after a burger I won’t have much room for dessert. 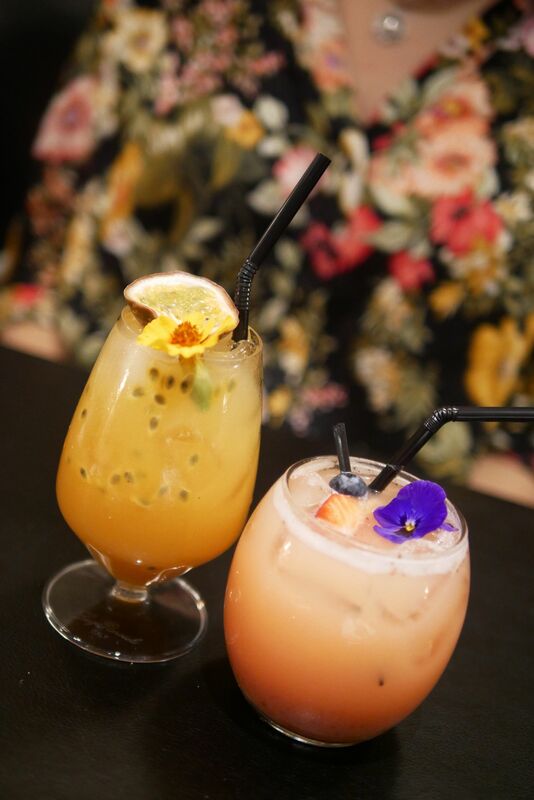 First drinks – they have a few mocktails on the menu but they are oh so good! We ordered some sides of Cheese fries and Mac n Cheese. I have to say i LOVED the cheesy fries , but in hindsight should have got the chilli cheese fries for a bit of extra oomph. 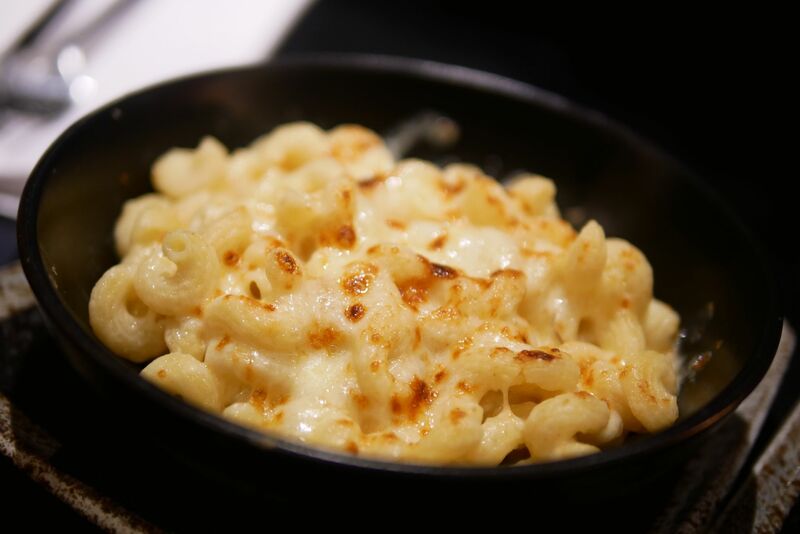 The Mac n Cheese was a bit lifeless though, not much to it at all, I will probably give that one a miss I think for next time. I ordered the Banc Burger and my friend got the Deluxe Beef Burger. My burger, Banc Burger was a beef burger with turkey bacon, a fried egg and a few other salad-type condiments. 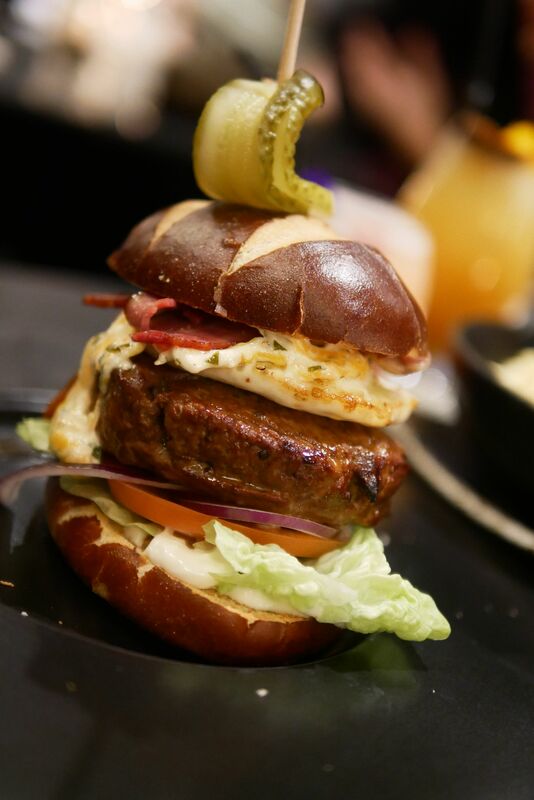 I loved the burger, it really was so tasty and well thought out. The turkey bacon was my favourite part of it as it was crispy and succulent but there was a decent amount of it there. I wasn’t too keen on the fried egg with the burger though, but that’s just personal preference. My friend got the Deluxe Beef Burger, which was a beef burger with melted stilton, onion rings, mushrooms and salad. It was a tower! We almost just sat there for a solid 2 mins struggling to figure out how to eat it (after we took photos.. obvs) There was so much in the burger but it felt so right, the stilton and the beef was such a perfect combination, she caned it all even before I could finish mine! 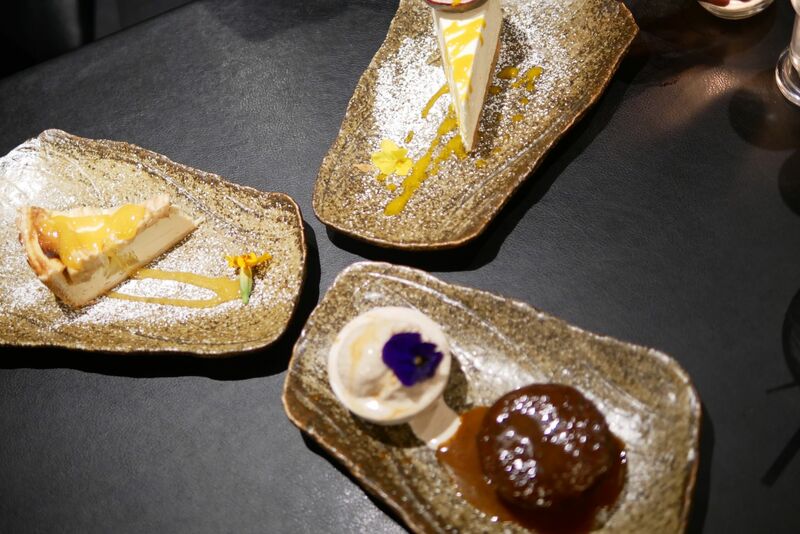 Now after all that meat and food, I was struggling to breathe let alone order dessert but the lovely guys at The Banc are always so sweet, they insisted so we ordered 3 of their best desserts – I mean go big or go home right! Yo girl aint no quitter! Sticky Toffee Pudding always reminds me of my favourite dessert at Meat and Co, so we ordered it. It was good but not great, a bit dry but accompanied with Cinnamon ice cream was the perfect combo. I have to say I really enjoyed the cinnamon ice cream I could have done with a dollop or two more of that. 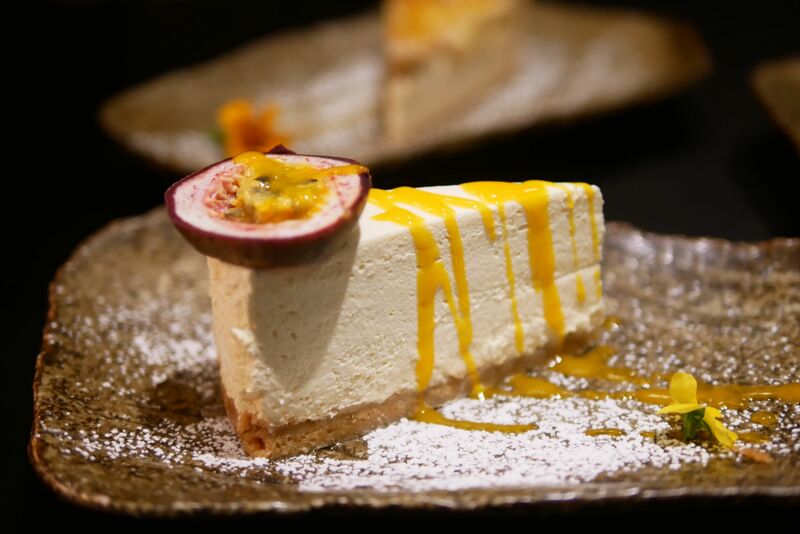 Next was the Passion Fruit Cheesecake, which was nice but really it was a standard cheesecake with passion fruit drizzle – good cheesecake nonetheless. 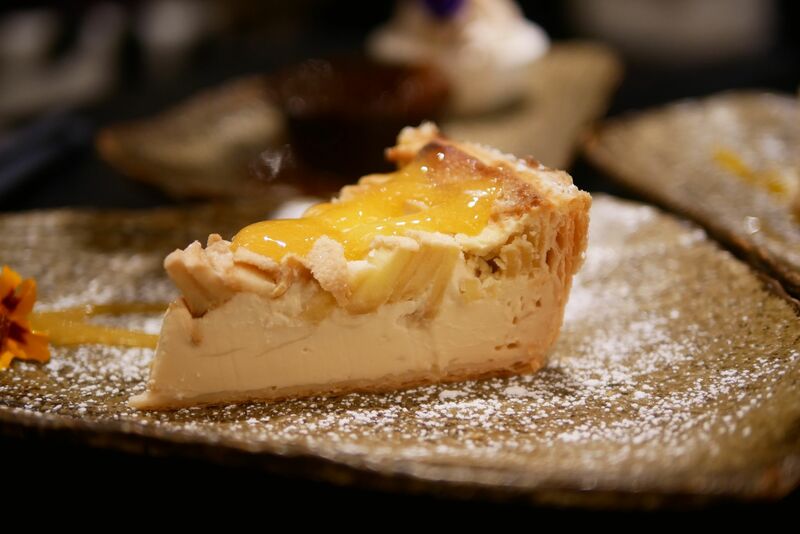 Apple Costada was the star of the show for me – it would definitely not have been my go to dessert if I’m honest but as Amin, our lovely server was so excited about it, we couldn’t resist and so glad we didn’t say no to this one! It was an amazing dessert – fresh and light and so refreshing. Definitely don’t miss this one. Overall, I would fully recommend The Banc for a casual evening or even for a special occasion. The food was great, the service even better, and they even have some of the best shisha I’ve had in their shisha garden. If you’re a shisha lover do NOT miss the paan flavoured shisha it is simply beautiful. Overall, giving The Banc a total TLH score of 8 out of 10. Till next time my babies, lots of love!